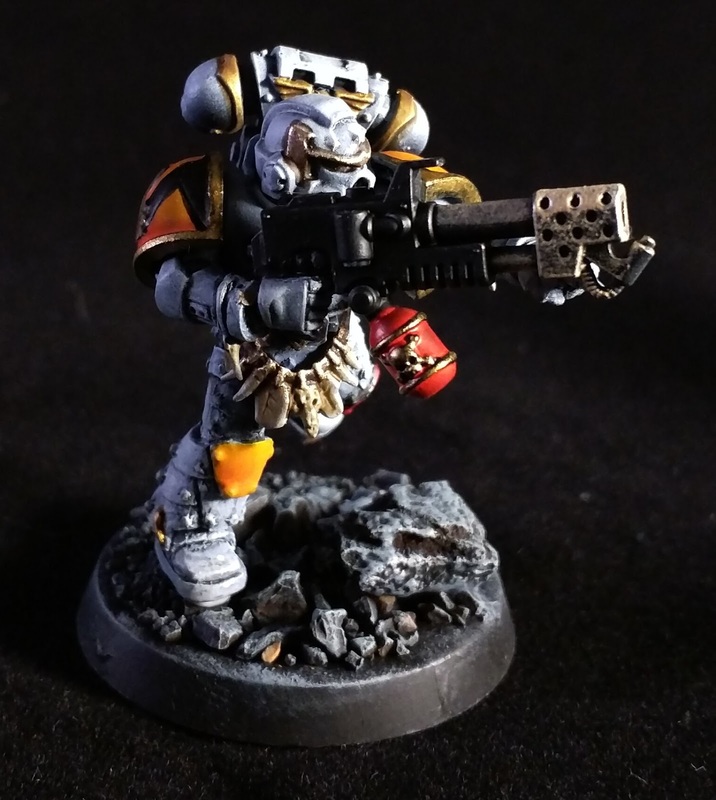 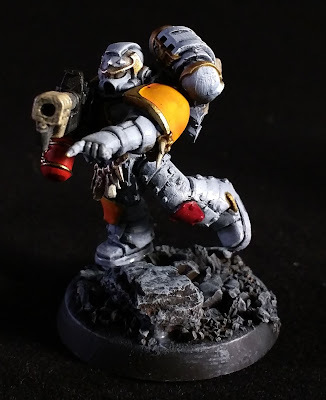 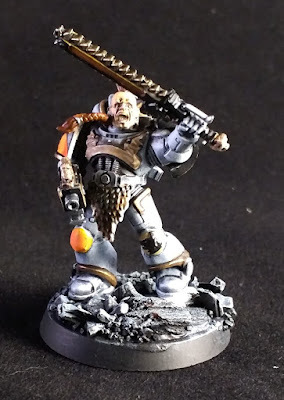 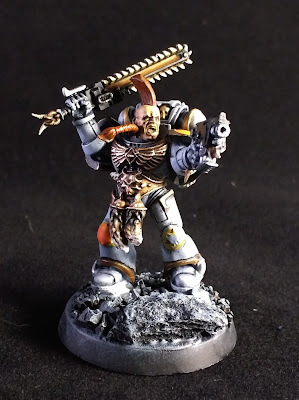 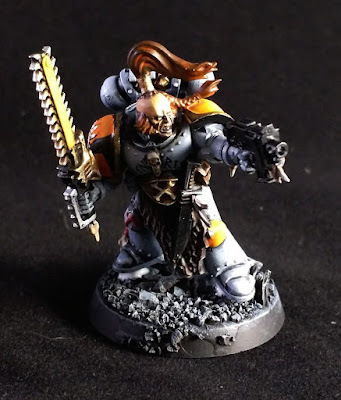 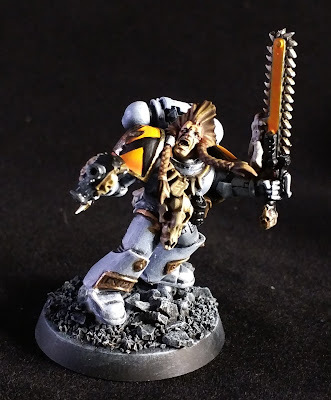 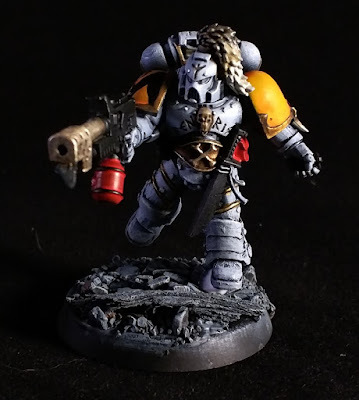 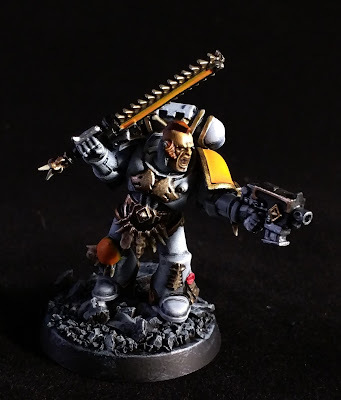 It has taken a while, and I will have to say that all those embellishments that make the character of the Space Wolves﻿ do really take time and a half to paint, compared to a normal marine. So with that being said, I have finally gotten them up to a "tabletop" standard. 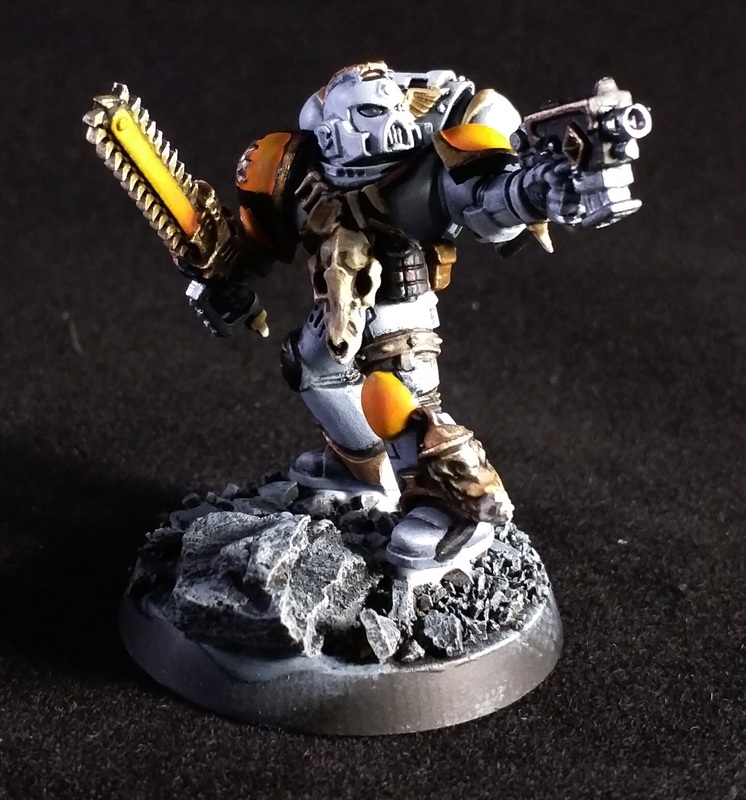 Or better than a 3-color minimum. 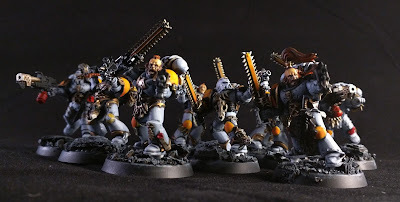 I will continue to tidy them up over the next few painting sessions, but here they are. First up, my two claws with flamers. The intention with the list is to have two smaller Bloodclaw packs, each with a flamer.